The Doctor is widely experienced in wrinkles treatment with botulinum toxin type A (Botox, Dysport) since he was the first and only Dermatologist trained in England. In London, he received two trainings of basic and advanced Botox treatment under the supervision of Dr. Patrick Bowler and Dr. Nicolas Lowe. 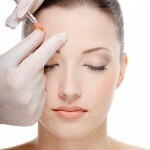 The purpose of this training was to make the Botox treatment known and applied by other Dermatologists. He was the main speaker and supervising doctor during a Dermatosurgery Congress in Athens and an educational meeting in the Dermatological and Venereal Diseases Hospital of Thessaloniki.